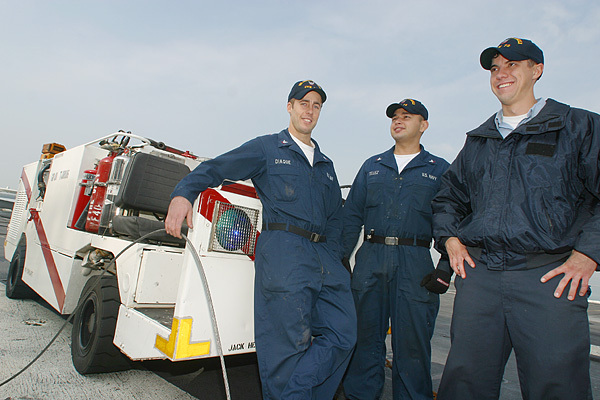 These proud US carrier crew is part of the carrier firefighting crew. At the background is their mini fire truck. It carries fire extinguisher and a pump which can pum foam. The mini fire truck even equipped with a turret. Photo taken when the US carrier was at the Hong Kong port. Added by Antoon de Lepper on 30 June 2012.